I live on a rather small, quiet street – utterly unremarkable and (at least today) not one I felt inspired to photograph. I was casting my mind about for photos depicting street scenes and the one that came to mind was this one taken during our recent sailing adventures in the Caribbean. 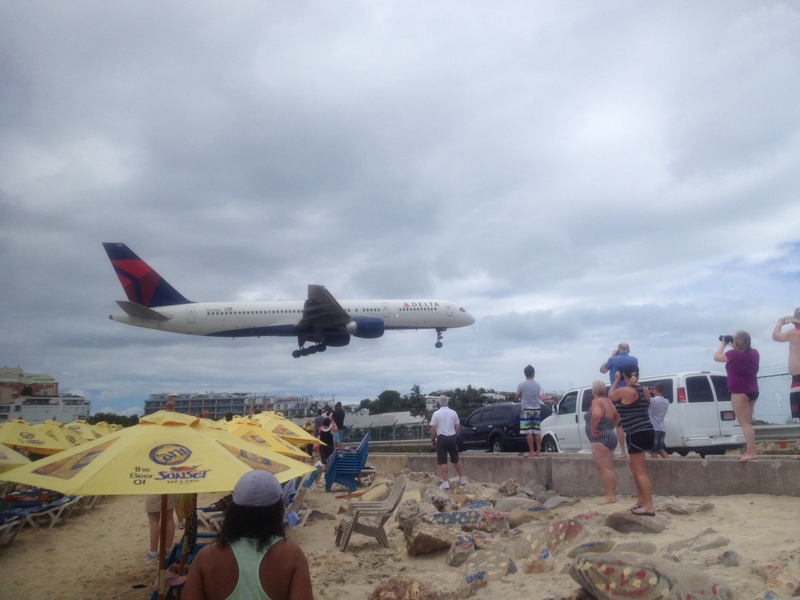 Maho Beach on Saint Martin (and the road that runs along its length) are certainly more entertaining than our semi-rural neighbourhood here on Vancouver Island! People from around the world make a pilgrimage to this plane-spotting haven to watch jets drop in low over the beach and onto the extremely short runway at Princess Juliana International Airport. A whole industry has sprung up to provide sun-baked, sand-blasted tourists with frosty beverages just outside the jet blast zone… If I had known then what I know now, I would have parked my backside under an umbrella and shot my footage from a safe distance! I thought it was pretty cool to stand on the beach and watch the planes land, but the fun (not!!) really began when we decided to see what it was like to stand behind a jet plane when it was taking off. 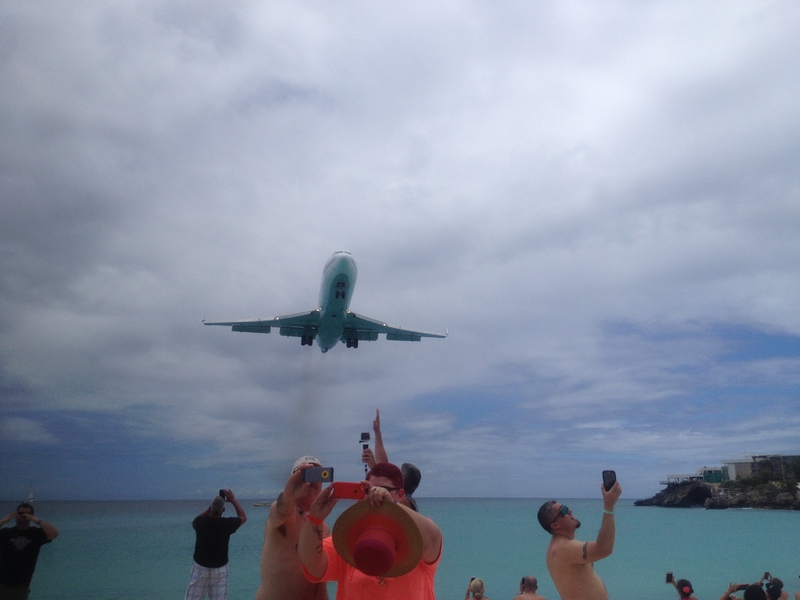 What could be more fun than elbowing other tourists out of the way to get your best shot of an incoming plane? 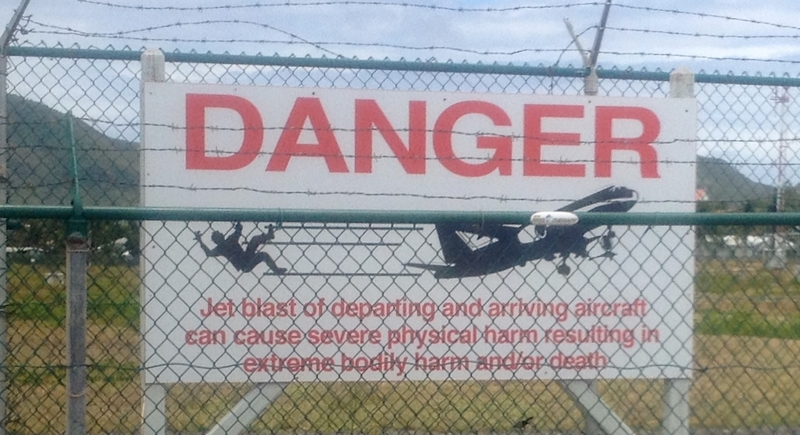 How about… standing in the dreaded jet blast zone as one takes off! In my defense, all I can say is that I figured if it was really, really dangerous, surely they would have closed the road. And the beach. And the pilot wouldn’t have waved at us in such a cheerful manner before, yes, he pointed his 707 down the runway and gunned his engines. Positioned as we were directly behind the plane and across the road on the beach so we would have an awesome view and great camera angles, the roar of wind and that horrible ear-splitting wail of jet engines were the first things we noticed. Followed immediately by the stench of jet fumes and a wave of heat that carried with it a gazillion particles of sand and other debris travelling at velocities fast enough to embed themselves in our skin so deeply we were still picking stray grains of grit out days later! Bodies flew past us and in the panic of people fleeing and being blown off their feet we lost track of my nephew who, it turns out, was knocked over, rolled down the steep sand bank and into the ocean. The worst part of that was he had his phone in his pocket and said phone did not survive the dunking. The rest of us managed to stop our retreat before being plunged into the sea, but we all felt somewhat foolish and slunk away along with the other sand-encrusted tourists who had met similar fates. Talcum powder is a pretty good antidote when it comes to removing sand, say when you want to put your shoes back on after a stroll on a beach. 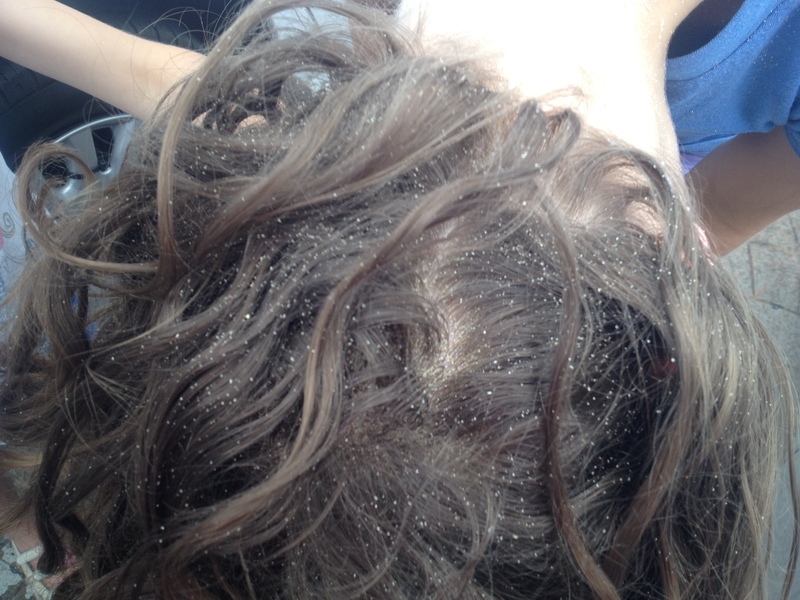 It does little, however, to help when sand particles have lodged in your scalp beneath your long hair. Swimming off the back of the boat does not help. Neither does showering at the nearest marina. Nor does picking at your head with tweezers. 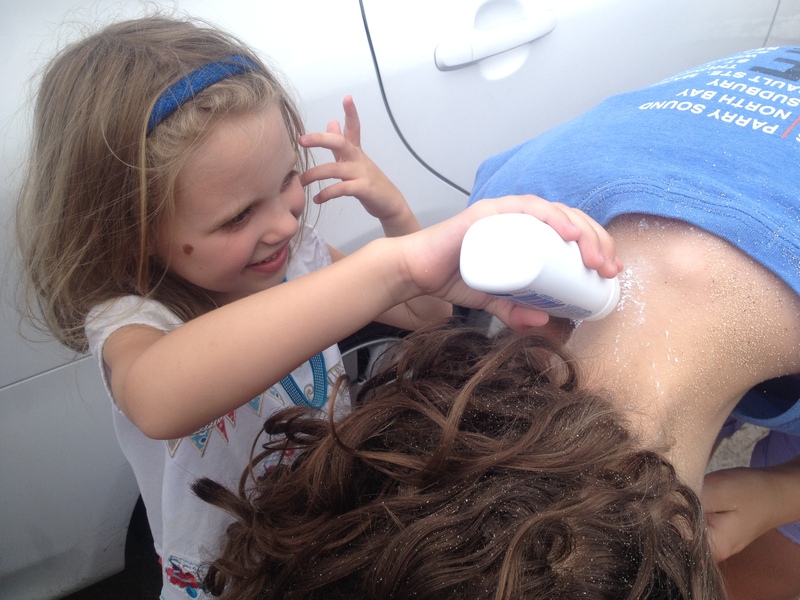 Don’t even waste your time with a hairbrush or head shaking. Scraping bits of sand out with fingernails is a task worthy of Sisyphus. Best to just stay far, far away from the back end of departing airliners. 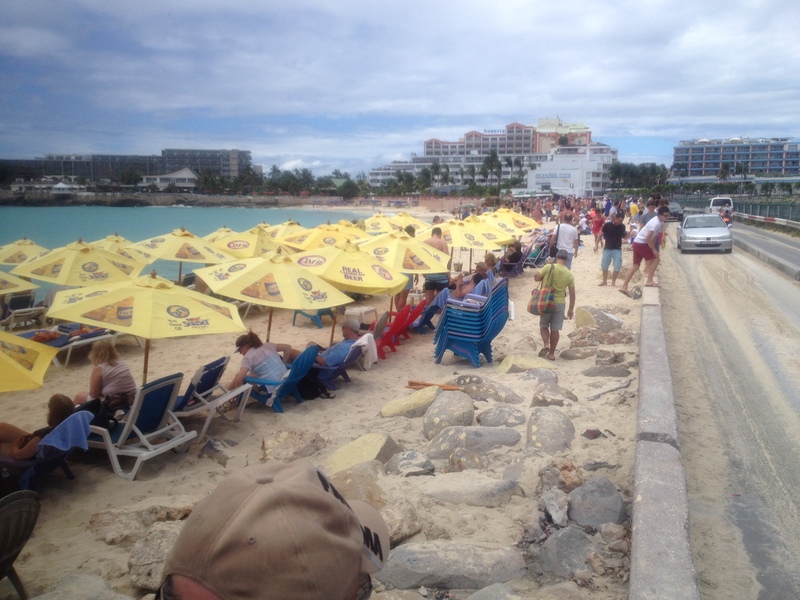 This entry was posted in Blog, Photography, Sailing, Travel and tagged #photo101, jet, maho beach, phonography, princess juliana airport, saint martin, street scene, tourists. Bookmark the permalink. What amazing shots of the low flying aeroplanes! Thank you – I’m glad you enjoyed it – thanks for stopping by! This is nuts! Glad you survived. 😀 And I assume the sand is gone now. By the way, I liked your comment about an uninspiring street. The same for me over in Alberta!